Tasting Notes are not currently available. If you have any queries regarding this product please feel free to contact the Cellar Door. We hope to have these available as soon as possible. Produced from 100% handpicked Riesling grapes from Southern Tasmania’s famed Coal River Valley. The wine shows intense mandarin aromas with subtle sweet honey tones and bruised apple flavours. Some tropical notes. A lovely lighter style yet very crisp, lengthy and complex. A must to try with Lemon Curd tarts or a selection of fine Tasmanian cheeses. This dessert style wine has alluring aromas of rose petal with hints of tropical fruit. 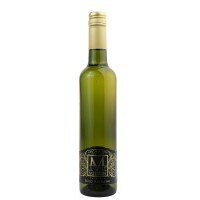 The palate is softly textured, full and elegant with subtle shades of Turkish Delight and tropical fruits. This wine is very well matched with cheeses (especially blue) and decadent desserts. Rich aromas of flower petals, citrus, spice and apricots. 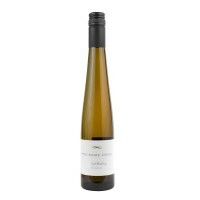 Obvious Riesling fruits, juicy rich mid palate that displays all the benefits of a higher residual sugar style. Balanced palate from high levels of phenolics and a beautiful acid line. Finished with mouth-watering balance. Exotic and alluring, this is light-bodied and chiselled: a tightrope walker deftly tiptoeing across a beam of high voltage acidity while pondering the allure of exotica across candied quince, orange marmalade, ginger and honeysuckle flavours on the long finish.